Cathy J. Lewis - UGRIN ALEXANDER ZADICK, P.C. Cathy joined Ugrin in 1999. Following graduation from law school, Cathy had the honor of serving as a law clerk to the United States Magistrate Judge in Great Falls from 1997-1999. As part of her extensive appellate practice, Cathy has presented oral argument to the Montana Supreme Court and the Ninth Circuit Court of Appeals in complex civil cases. Cathy is a former shareholder who maintains an active practice while residing in Hawaii. Cathy was born in Portland Oregon. She served as President of the Board of Directors for the Community Health Care Center in Great Falls, and on the Board of Directors of the Paris Gibson Square Museum of Art. 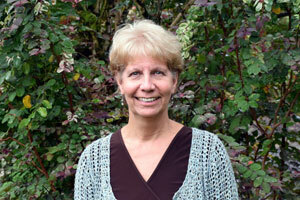 Cathy enjoys the outdoors, with hiking, canoeing, landscaping and swimming among her favorite pastimes.